18 January 2019: First workshop introducing the UK node. 12 December 2018: Launch webinar for the UK node. Welcome to the first newsletter from the RDA UK node. We plan to communicate work and activities that are relevant to UK members via a regular newsletter. Although you might have already seen this information from other RDA channels, we hope that you find this summary useful. If you have any comments or ideas for future newsletters please let us know (contact details are at the end). Thank you to everyone who attended last week's RDA UK launch webinar. The recording is now available on the RDA site at https://rd-alliance.org/rda-uk-node-launch-webinar. You can also download the video and all the slides from the UK node's file repository - https://www.rd-alliance.org/node/52884/repository. If you're interested in finding out more about the RDA UK node please don't forget to attend the following webinar. Please join us for our first webinar on 12 December 2018, from 11:00 till 12:00 (GMT), where we will launch the UK national node and talk about our activities and plans, as well as the work of the RDA. As members of the RDA in the UK Group you will be receiving emails from the node coordinators. If you do not wish to receive further emails please see below how to unsubscribe. As this is our first email we'd like to welcome you to what we hope will be a productive and engaging group. The RDA UK node is the Science & Technology Facilities Council (STFC), supported by Jisc. As part of the project we will be running a number of webinars and workshops to promote the work of the RDA and engage with the UK research community. 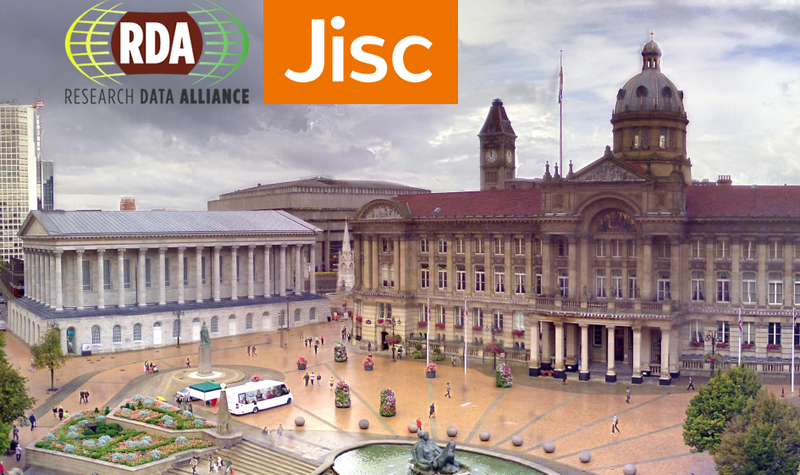 On the 2 November 2016, Jisc and the Research Data Alliance (RDA) will host their first joint workshop in Birmingham, UK. At the event, topics include how to engage with the RDA, practical uses of RDA outputs, and discussions with groups working on Trust and Certification, Metadata Standards, Data Citation and Publishing Data.